Hey, everyone. Remember when for years upon years Aquaman was treated as a laughingstock? People would joke about their confusion regarding the reasons behind putting the dude who, "Talks to fish," on the Justice League? Everyone would guffaw at the idea of an Aquaman movie? Well, it is 2018 and now where the latest DC movies featuring Batman and/or Superman have stumbled, "Aquaman," is looking to be a big ol' hit. While it isn't officially out yet, there were special preview-screenings last Saturday for people who could buy tickets if they had Amazon Prime. That relatively smaller and niche group brought the movie an easy 2.9 million dollars. Oh, and, "Aquaman," is currently the only DC movie (in the shared universe, Christopher Nolan's movies don't count here) besides, "Wonder Woman," to get any love from the critics as well. It maybe isn't being called a masterpiece, but folk seem to find it to be good fun--a far cry from the dour antics of other Justice League members such as a neck-snapping Superman, criminal-murdering Batman, and so forth. Back some years ago I never would've predicted that we would actually get an, "Aquaman," movie. I also would have been doubtful it could be good considering all the baggage attached to the character by popular culture. Through the right mixture of directors, screen-writers, and of course one of the hottest (and charismatic) men possible to play Aquaman--Jason Momoa--we've got a good movie. Not just a good movie in fact, but a good movie that could make serious bank where all the flicks featuring Batman, Superman, the Suicide Squad, and so forth have struggled. 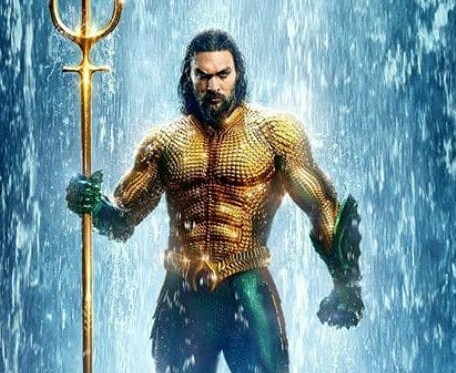 Once it has its official big release this Friday a clearer picture will be drawn of just how big of a success, "Aquman," may end up being, but if early indicators tell us anything, this should be a hum-dinger. What a time we live in. Merry Christmas/Get Ready for 2018 in Review!